Arizona is filled with professional and college sports teams and a wide base of sports fans supporting each team. Like most states the law doesn’t allow any sports books or bookies located within the borders. But also like every other state, Arizona has plenty of people who want to place bets on sporting events. Wherever a large part of the general public wants to do something, an industry rises up to fill the need. Arizona sports bettors have options, though depending on who you ask, none of them may be legal. 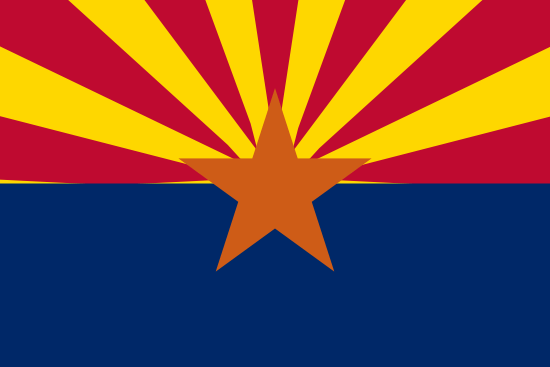 The state of Arizona has a sports team in each of the four major sports leagues. Here’s a quick overview of each. Arizona Diamondbacks – Members of Major League Baseball, the Arizona Diamondbacks have had some success over the years, participating in the playoffs when Randy Johnson and Kurt Schilling lead the rotation. The team started in 1998 and won their first World Series title in 2001. Phoenix Suns – The Suns are members of the NBA. The team was founded in 1968 and has had some success but has never been able to win a championship at the time this page was written. Arizona Cardinals – One of the oldest football franchises, the Cardinals are members of the NFL and moved to Arizona from St. Louis in 1988. Arizona Coyotes – Previously called the Phoenix Coyotes (and the Winnipeg Jets before that), this NHL team was originally founded in 1972 and came to Arizona in 1996. All of the professional sports leagues have lines available for all of their games. Popular land based sports books and online sports books should have any games you want to place wagers on. It’s often estimated that gambling on the NCAA basketball tournament (March Madness) counts for more money wagered on any event with the possible exception of the Super Bowl. All of the guesses on the actual amount wagered has to be an estimate because of the millions of people who take place in office pools and other “gray area” betting places. I use the term gray area because of the laws, or vague claims by the government that can be interpreted different ways that seem to make operating as a bookie illegal but doesn’t always seem to make the person making the bets doing something illegal. I realize this can be a little confusing. I’ll try to make it a little clearer, but understand I’m not offering any kind of legal advice and I’m not an attorney. Talk to your personal legal representative if you want to learn more about the exact laws in your jurisdiction. No one gets arrested for participating in the local office pool, but the act is generally ruled as illegal by the laws of the state. Don’t make the mistake of thinking something is legal because no one gets arrested. The same type of thing is often in play with local bookies. They can get arrested but if you place bets with them you generally won’t be bothered. If you place bets online you probably won’t be charged with a crime but some courts may claim the owner of the online book maker is breaking the law. Here’s a list of the college teams in Arizona. Arizona Wildcats – The Arizona Wildcats are mostly known for their basketball team, but they also offer many other sports. Lines are readily available for their major sports teams. Arizona State Sun Devils – Arizona State is probably best known for their baseball teams who often qualify for the NCAA World Series held in Omaha every year. Not many universities are known more for baseball than football or basketball. Northern Arizona University – Northern Arizona University is the least well known of the three colleges listed here but they have an NCAA football team, a basketball team, and many other sports teams. You can find hundreds of online sports books listed in any search engine. Most of them will accept wagers from Arizona residents. If you want to use an online sports book take a few minutes to make sure you find a safe one that has been established long enough to build a solid reputation. If you aren’t comfortable placing bets with an online sports book you can find a local bookie. You can usually find a bookie by asking around at a local bar or by asking your friends. Almost every community has at least one bookie, and the larger cities usually have multiple options. Because bookies operate illegally you really don’t have much protection if one of them takes advantage of you. Most bookies are 100% above board because they make plenty of money running their book straight, but never bet more than you can afford to lose and see if anyone you know has used the bookie with success before. If you plan to place bets on your favorite Arizona based sports teams with a local bookie you need to be aware of something they tend to do. Always make sure to check the local lines being offered against the ones from popular online or Las Vegas sports books. Local bookies often move the local lines against the popular in state team because most fans will bet on their favorite team no matter what the spread. This often opens a nice opportunity to bet on the local team’s opponent profitably. I want to share one other word of caution before we close out the page. Most people who bet with local bookies consider starting their own book making business at one time or another. Of course it’s up to you, but unlike placing bets, operating a bookmaking operation is illegal and you can be arrested and charged. My recommendation is just don’t do it. Arizona residents have a nice selection of college and pro teams to follow and support. They also have many options for placing bets on their favorite teams, but many of them are at best a gray area where the law is concerned.